Sundar Pichai, who takes the I/O stage for the first time since becoming CEO in October, says he’s on a “journey” from mobile to AI. Good thing he has an assistant. rom the windows lining the wall of Sundar Pichai’s light-filled office in the Googleplex in Mountain View, California, you can see the twin spires of Shoreline Amphitheatre, just a short walk away. The outdoor arena is where Pichai is hosting, for his first time as Google’s CEO, over 2,000 Googlers and 7,000 developers at the company’s I/O conference. After holding the confab inside a San Francisco convention center for the past seven years, Pichai wanted to bring the gathering back to Google’s backyard on I/O’s 10th anniversary. 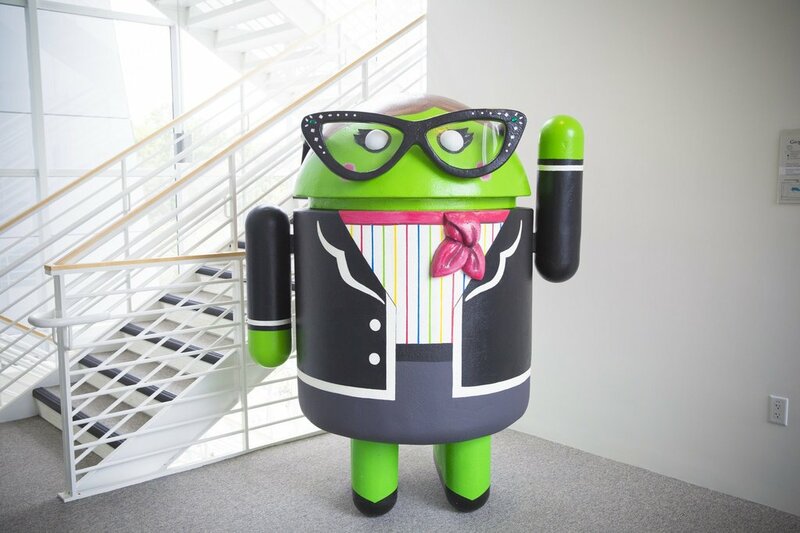 He’s keen to celebrate the community around the company’s Android software, Chrome browser and search engine, and introduce the next chapter of Google’s vision for artificial intelligence and virtual reality. But right now, Pichai is peeved. 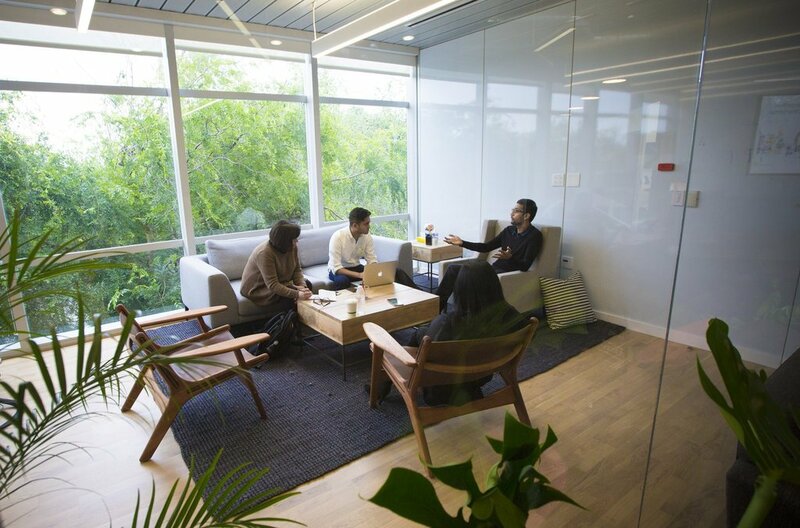 CNET News&apos; Connie Guglielmo and Richard Nieva discuss AI, VR and other important acronyms with CEO Sundar Pichai, at his office in Mountain View, California. After a week of getting a first look at the products being unveiled at I/O, which starts Wednesday, we couldn’t help but notice a lot of new takes on existing products. There’s a messaging app (which suggests comparisons to Facebook Messenger), a voice-activated speaker and smart home control hub (sort of like Amazon’s Echo), a video chat app (think Apple’s Facetime) and a new hardware and software system for VR built around a smartphone (shades of Samsung Gear VR). To be sure, Google’s executives described interesting new ideas and technologies behind each product. But there’s no entirely new product that someone else hasn’t done already. 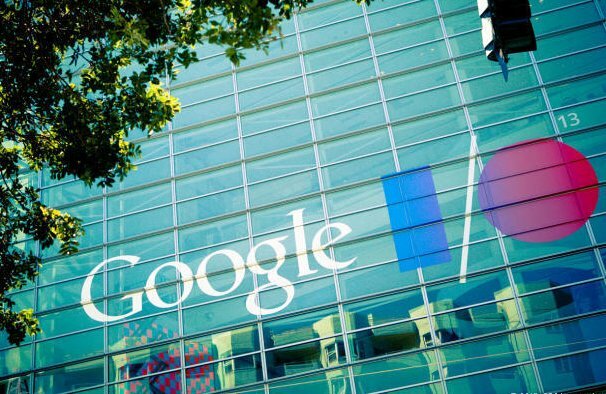 Google I/O 2016 starts today. Here&apos;s a look at some of the most memorable moments from previous events. 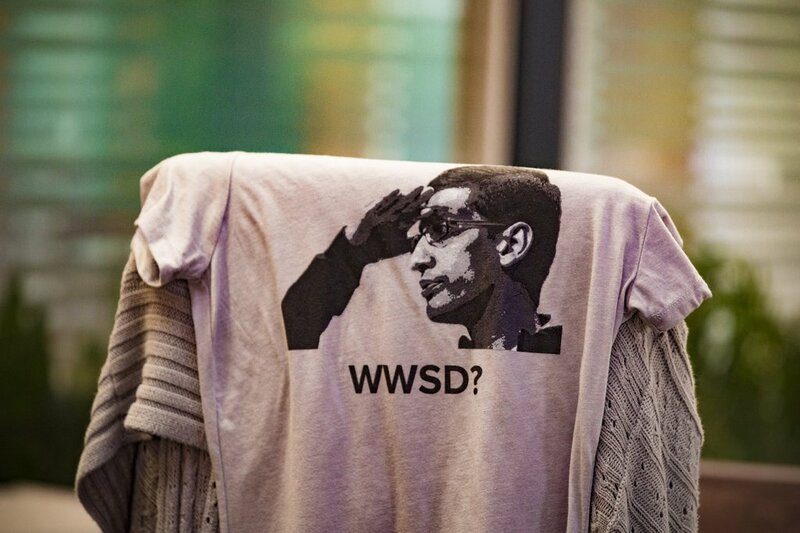 The famously mild-mannered Pichai — his Businessweek cover in 2014 was captioned “Google’s Soft Power” — bristles at the idea Google is somehow “following” its tech brethren. He takes a few minutes to tamp down his annoyance, and then calmly explains the “journey” he started taking Google on since becoming CEO of the most important division of parent company Alphabet. It’s as if Google is transferring its very essence from that sparse white homepage into every piece of tech you own (your phone, car, smartwatch) and online service you use. Unlike today’s search box, this assistant will learn about you from your behavior. It will know you’re a vegetarian, so won’t recommend steakhouses for dinner. It will understand context: If you’ve just bought Golden State Warriors tickets, the next time you mention Curry, it will know you’re talking about Steph and not Thai curry. All that, says Pichai, signals profound changes in the way we use information. Think of it this way: For pretty much the entire time people have been online, the Internet has been a tool, like a hammer or a library card. You use them when you need them. But a hammer will never automatically build you a house — let alone one with a Craftsman exterior because you’ve been reading up on early 20th century architecture. Google wants to be that overachieving hammer. The idea of a digital assistant isn’t new. Apple teased the world with an online concierge named “Phil” almost three decades ago as part of its vision for a “Knowledge Navigator. ” Today, Apple has Siri, Microsoft has Cortana and Amazon has Alexa. And in the movies, Tony Stark has Jarvis. Google has been doing this for years, too. So does the rest of the world, which queries Google more than a trillion times a year. That’s about 3 billion searches a day. A decade ago, Google translated two languages. Today, it’s talking to folks in over 100 languages and translating more than 140 billion words every day. While Pichai has been talking up AI and machine learning for a while, I/O 2016 is Google’s first showcase for products with the assistant baked into their DNA. Chirp, the smart home speaker now officially called Google Home, will likely get outsized attention. Unlike Amazon’s Echo, Google Home’s physical design can be customized so it blends in with your furniture. Its interchangeable parts means you can pick, say, different colored fabrics if you want it in your bedroom or metallic finishes if it’s going to live in your kitchen. Google Home lets you request anything you’d type into the search box. It will also tell you if your flight’s delayed, your package has arrived and what’s next on your calendar. It can dim your lights, put on a movie, and work with other gadgets, like Google’s $35 Chromecast. That means you can sync up music to speakers in different rooms or queue up “Broad City” on your TV. Cardboard, Google’s cheap virtual reality headset, provided a peek into the future. 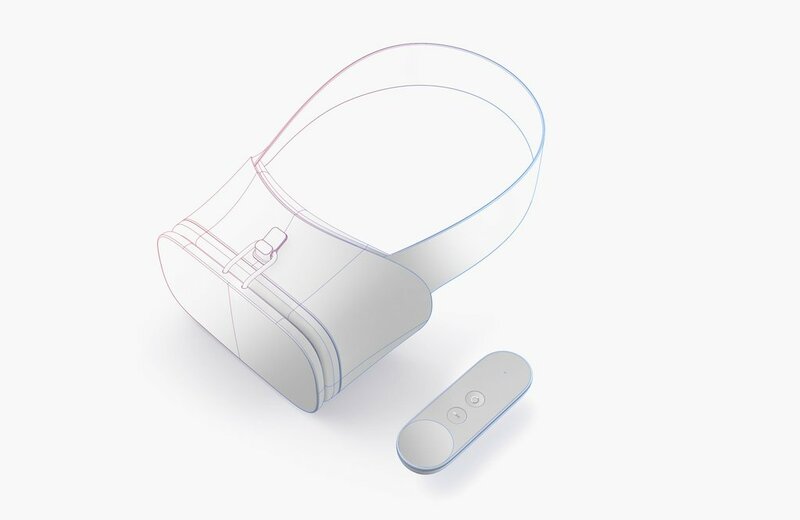 Google’s VR chief Clay Bavor is now touting Daydream, the next step in the company’s VR plan. The thing is, Daydream is only a sketch on paper -- at least until the fall. And Google Home will offer the same privacy preferences people already have with old-fashioned Google Web search. "It’s all the same rules, privacy and control,” says Scott Huffman, Google’s vice president of engineering for search. So you can do things like clear your search history. 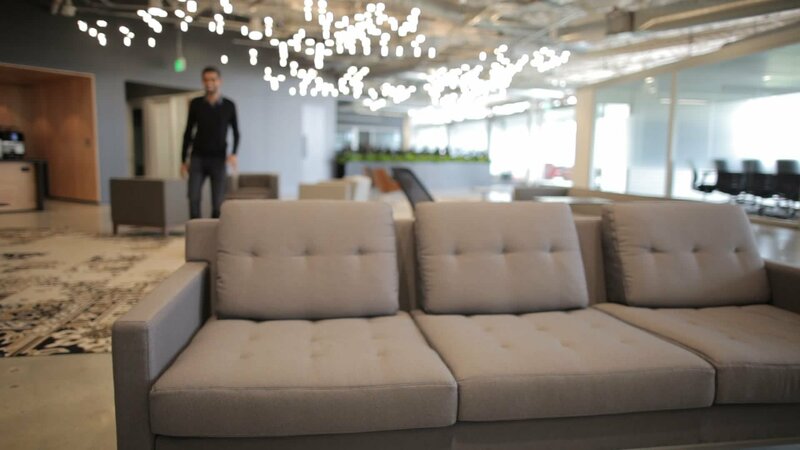 Google’s parent company, Alphabet, has another unit that’s building smart home products. Nest, which was acquired in 2014 for $3 billion, makes Web-connected thermostats, smoke detectors and security cameras under the guidance of former Apple iPod chief, Tony Fadell. So it begs the question why Google Home, which is compatible with Nest’s products, isn’t made by Nest. The reason, Pichai says, is because Google is interested in bringing computing to several distinct contexts. “Your phone, your wearables, your car, and your home,” he says. Google Home is more about that than anything else. Google’s big challenge with Home isn’t the tech, says Gartner analyst Brian Blau. It’s getting the device on customers’ radars. One reason for the Amazon Echo’s success is the fact that Amazon can prominently promote the $179 smart speaker on its site. And when people visit Amazon’s homepage, they’re already jonesing to spend. “You have your pocketbook out when you go there,” Blau says. Google just doesn’t have that captive audience when it comes to selling devices. The messaging app, Allo, also features AI smarts. It joins the next-gen chat service scrum that’s already being fought by Facebook Messenger, Snapchat and Kik. When you’re chatting with a friend on Allo — it culls your phone’s contacts list so you have people to talk to — the software automatically recommends “Smart Replies.” If a friend asks you to dinner, one of Allo’s suggested responses is “What time?” The more you use Allo, the more Smart Replies will start to sound like you. So if you have a favorite emoji, you can bet it will start to show up for you. 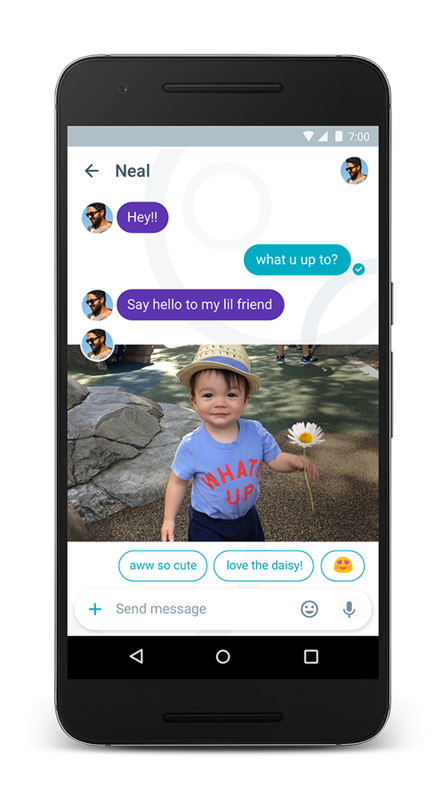 Like Facebook, which has a chatbot assistant it’s been testing called M, Google’s virtual helper will be front and center in Allo. There are a few key differences. Facebook’s M, which is being tested with “a few thousand” people in California right now, is overseen by a team of human workers who step in if a task is too complicated for the bot, like ordering food from a restaurant without an online ordering system. The assistant in Allo is entirely machine operated and is open to everyone. Pichai says these AI steps are just the first in a long process because the computing challenges are so difficult. There are privacy concerns that need to be balanced, and questions answered about the cultural and societal impact of all this mind-reading tech. Google is showing more future vision at this year’s I/O than it has before because it wants developers and users to understand what it aims to deliver — and to get them to buy into its ecosystem. Alphabet’s co-founders Larry Page and Sergey Brin continue to show confidence in Pichai’s leadership. Last month, the duo let him write the company’s annual founders’ letter, marking the first time in Google’s 17-year history that someone other than Brin or Page, who was CEO before Pichai, has penned it. Instead, his rise has been gradual. Born in Chennai, India, Pichai attended the Indian Institute of Technology Kharagpur before earning master’s degrees from Stanford and Wharton. He first interviewed for Google on April 1, 2004 — the same day it launched Gmail, which Pichai thought was an April Fools’ joke. 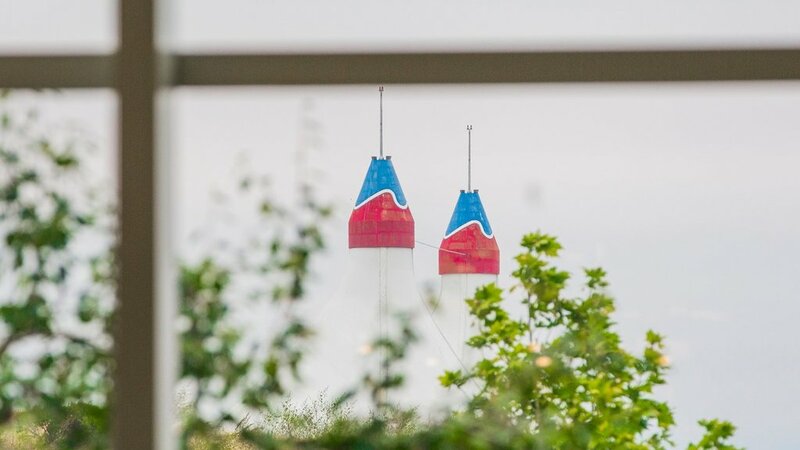 The view outside Sundar Pichai&apos;s office shows the twin spires of Shoreline Amphitheatre, where Google I/O returns for its 10th anniversary. He served as a product manager in charge of the browser search bar before initiating development of Chrome. His successes started to stack up and, in 2013, he took over Android from its dynamic but polarizing founder, Andy Rubin. He got oversight of the rest of Google’s Web products two years later, and was tapped as CEO last year. Outside of Pichai’s office, a complex art installation features twinkling lights overhead, like an artist’s interpretation of neurons speeding around the brain. It kind of looks like a starfield. 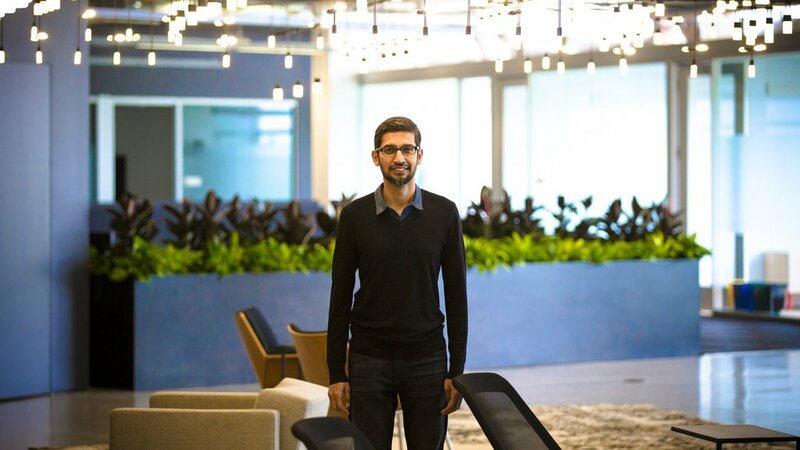 We ask Pichai to pose for a portrait beneath it. The setting seems fitting because, with Page and Brin off contemplating the future of Alphabet, Pichai is now Google’s north star. Pichai now faces attacks on multiple fronts. Regulators in the European Union allege that Google abuses its dominance to keep competitors down. When asked about it, Google points to a blog post from its general counsel, Kent Walker, who wrote that Google “takes these concerns seriously,” but also believes its model helps phone makers keep costs low. And Google’s rivals are circling. Regina Dugan, the former DARPA chief who led Google’s Advanced Technology and Projects (ATAP), left the company in April to lead a similar effort building experimental hardware for Facebook’s Mark Zuckerberg. Pichai insists ATAP is alive and thriving. All the group’s projects continue, including Ara, a fan favorite that lets people build smartphones from components that snap together like Legos. ATAP is hosting a session at I/O this week to share other news. As he deals with those external forces, Pichai is also focused on shifting Google’s journey from “mobile-first to AI-first.” That will mean changing the very soul of the operation: Google.com. Google’s homepage, the cash cow that accounts for the majority of Alphabet’s $74 billion in sales, isn’t going anywhere, at least anytime soon. But expect Google.com to get more personalized. One early sign of change: After Amit Singhal, Google’s longtime search chief, retired in February, John Giannandrea, the company’s AI boss, took over. 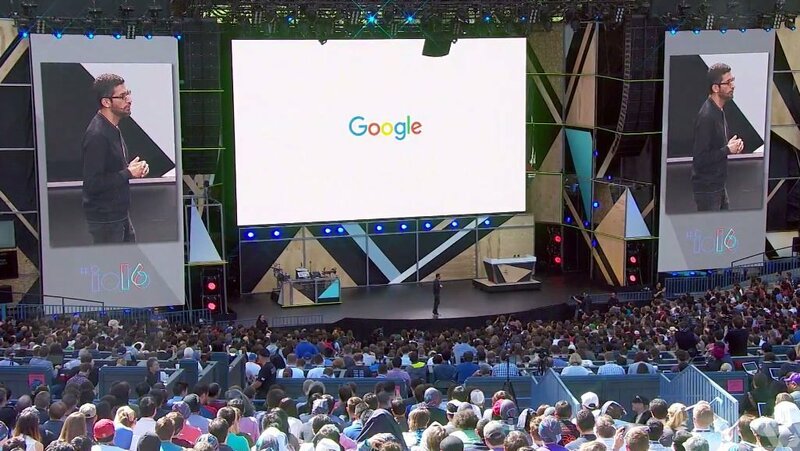 More than 7,000 people attend Google I/O, outdoors at Shoreline Amphitheatre, not far from the Googleplex. And consider this: When you Google “Sundar Pichai,” the results show his Wikipedia entry, his Twitter feed (@sundarpichai) and then recent news about him. We ask him stuff you wouldn’t get at first glance in a standard Google search. His favorite emoji: the simple, classic smiley face. He’s Team Hard ‘G’ in the great GIF pronunciation debate. He thinks the most impactful Alphabet moon shot is the self-driving car project. He no longer memorizes phone numbers, as he did when he was a kid, because they’re stored in the many (he doesn’t know the exact number) phones he uses at any given time. If the journey goes as planned and the assistant is really as “assistive” (Pichai’s word) as Google wants it to be, you could find answers like that in the not-too-distant future. What would a “Sundar Pichai” Google search look like in his AI-first world? CNET&apos;s Sean Hollister contributed to this report. Richard Nieva is a senior reporter for CNET News, where he writes about everything from Google to Facebook to smartphone theft. He previously worked for Fortune magazine, and his writing has appeared in The New York Times, on CNNMoney.com and on CJR.org. Connie Guglielmo is editor in chief of CNET News and is responsible for overseeing a global team that covers breaking stories and also delivers analyses and features. She&apos;s a veteran tech reporter and editor who has worked in and around Silicon Valley for MacWeek, Wired, Upside, Interactive Week, Bloomberg News and Forbes. Google has always been light-years ahead of its time, thanks to its unconventional co-founders. They&apos;re shaking things up, again.